Managing marine resources heavily relies on data, but in many contexts, including Pacific Island countries, data deficiency in fisheries and other marine resources prevents informed management decisions. Managing marine resources heavily relies on data, but in many contexts data deficiency remains, preventing informed management decisions. Manual, paper based reporting system are widely used, even though these are typically burdensome, resource intensive, error-prone and slow. Data often remains locked away in spreadsheets and results are not measurable, visible, accessible or transparent. As response smartphone apps are widespread and potentially powerful tools. 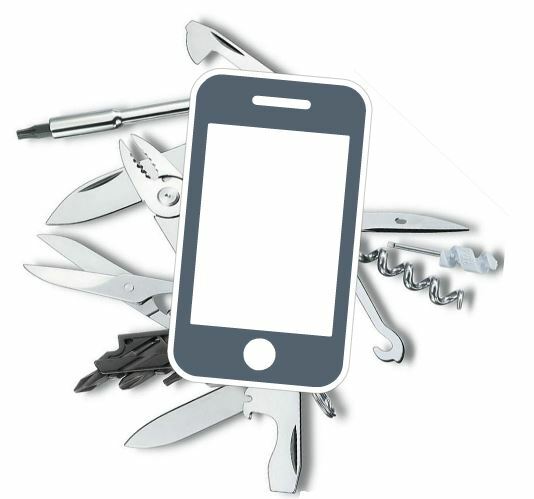 However, apps are perceived as a “knight in shining armor” - a new solution to an old problem. Digitizing a solution often merely digitizes the problem, and doesn’t necessarily solve it. Instead of just going with the fashion, the problem and objective of the proposed (app-) solution should be well defined, followed by a careful SWOT analysis and consideration of possible alternatives. Specific benefits of apps could be, e.g. wide geographical reach, more efficient data collection, or making use of smartphone sensors. After exploring the full spectrum of Smartphone Apps in natural resource management, a guide for App Development provides a decision tree guiding the process. The use of Open Data Kit gives one app example for data driven marine management in Fiji, including a detailed documentation how to use Open Data Kit through KoBoToolkit. Beyond this, MACBIO aims at collaborating with national and regional stakeholders to develop lasting solutions and standards for the use of open-source mobile applications in support of sustainable marine resource management and conservation. Isn’t there an App for that? There probably is! Mobile technology is on the rise and more and more people have access to these technologies as well as the internet. In 2016 there are about 2 Billion Smartphone users out of the 4.6 mobile phone users worldwide, with close to 3 Billion expected in 2020. And today 68% of these smartphone owners use apps. Already in 2013 there have been 56 Billion apps downloaded to Smartphones. This is not a phenomenon of the industrialized world. While internet and smartphone usage is more widespread here, developing and emerging economies are catching up with 54% average internet use and 37% average smartphone ownership. Our world is increasingly digitally connected. This changes the way we communicate, work and live, and brings about fundamental social change. The combination of computational power, sensors, and wide-scale user uptake means that the internet, smartphones and in particular apps provide an unprecedented opportunity: Opportunities for development, prosperity, quality of life and sustainability worldwide, be it access to information, education, health and safety or data collection, management and participation in political processes – even in the remotest areas. Therefore, Smartphone Apps areone crucial aspect of Information and Communication Technology (ICT) and are increasingly used to achieve sustainability, development and conservation. An automated search of the Google Play Store in 2015 indicates how popular smartphone apps for sustainability have really become:, out of 36 304 apps, ~6300 were nature-themed. Despite the large number of apps available, very little information is available to evaluate the meta level of effectiveness of apps as well as practical guidance on how these apps are developed and used. To close this gap, we try to offer orientation in the jungle of apps, their development and application and to exemplify successful app use in natural resource management. In this context Open Data Kit will be introduced and explained, as well as its use for data driven marine management in Fiji.